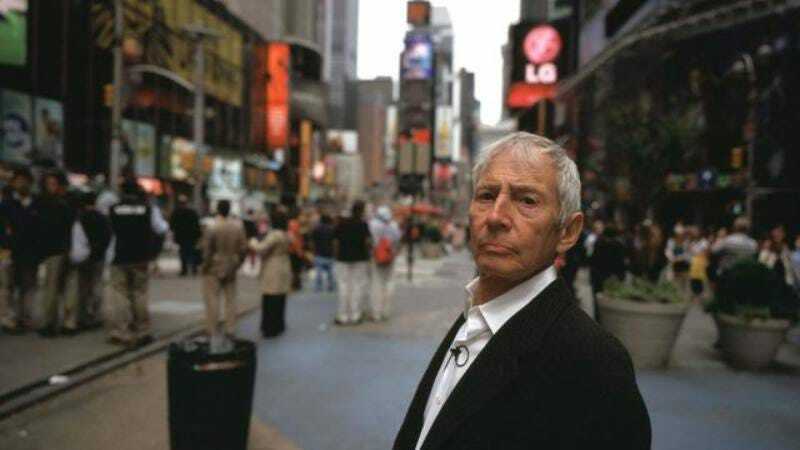 Now that the last episode of The Jinx has aired, leading Bill Maher to make a smug joke about how HBO “caught a murderer” like he personally led the investigation or something, it’s time for the boring old criminal justice system to take over and prosecute Robert Durst on charges of first-degree murder. Luckily for all involved—except for the family and friends of the victim and probably justice—Durst’s actual court appearances seem to be pretty exciting as well. The Wrap was at Durst’s bond hearing in New Orleans, where he was arrested last Saturday in the wake of new evidence uncovered as part of the documentary crew’s investigation. As Magistrate Judge Harry Cantrell tried to decide whether Durst—a multimillionaire real-estate heir who could easily pay any bail that was set for him—should be set free on bond, strange details about his arrest were presented in court, including that Durst had been arrested with a fake ID, $42,631 in cash, and a chest-length latex mask with “salt and pepper hair” on his person. (He also reportedly planned to have another $117,000 delivered to him at his hotel by UPS.) Durst also had maps of Florida and Cuba on him when he was arrested, suggesting he planned to flee to Cuba. Fox News personality Jeanine Pirro, who made the disappearance of Durst’s first wife Kathie Durst into a personal crusade when she was district attorney of Westchester County, NY, also made an appearance, because it’s a universal truth that having someone from Fox News show up improves any situation. Unsurprisingly, Cantrell denied Durst’s request for bail, saying he was a flight risk and a danger to others. Durst is currently being held in Louisiana on drug (he also had marijuana on him when he was arrested) and weapons charges, but is still expected to be extradited to Los Angeles, where he has been formally charged with the 2000 murder of his former friend Susan Berman.